I love helping people through the buying and selling process and through the major life transitions that happen when people move. One of the greatest things that happened to me is that my family moved to Hawaii when I was six. I graduated from Hawaii Baptist Academy and earned an English/Journalism degree from Averett College in Virginia. Before getting into real estate, I worked for newspapers and magazines in Hawaii and in San Diego before switching careers 13 years ago. In 2010, my husband and I opened At Home Hawaii and added property management to the services that we offer. 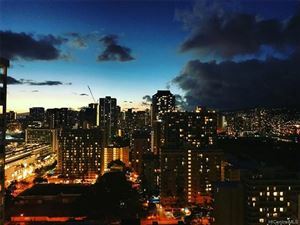 As the owner and Principal Broker of At Home Hawaii, it's important to me that we have a reputation and a company culture of responding to our clients quickly, honestly and with the rights answers/solutions to questions and problems. We hire agents who truly care about doing the right thing for their clients and who are resourceful problem solvers - so that they take homes through a process that leads to a successful closing.